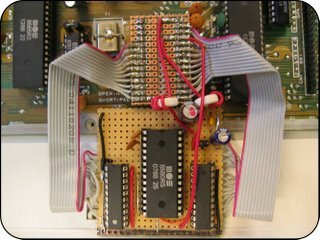 Those who are not familiar with this thing and are interested in lowering the background noise of the SID chip should definitely check out this buffer mod. It makes a huge difference to the sound quality. 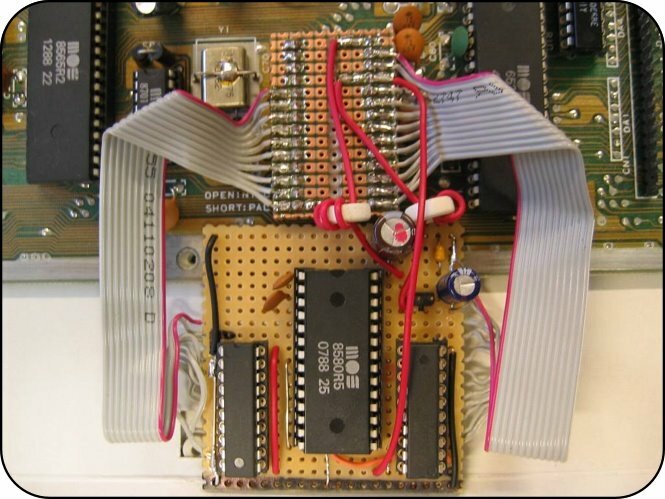 The mod involves adding two 74x245 buffer chips to isolate the SID from the C64 address and databuses. The main reason for the background noise is that a common ground is used for both analog and digital parts inside the chip. When the chip is not accessed, the high speed data signals leak from the digital side to the analog through the common ground and build up noise. I've drawn the schematics and a board for this mod with the help off instructions provided by Grue / Beyond Force (thanks!). The board has an option of adding also a 7805 regulator to power up the digital side of SID. This lowers the background noise even more but not as drastically as the buffers do. If you don't want to use a regulator, you can just bridge pins 2 and 3 on J3. The board can also carry the filter caps for the SID; this was mainly added for testing different cap values. If used as such, mount a socket so that there's no need to solder the new caps in all the time. A socket can be made for instance by cutting a few pins off a regular round-holed DIP-socket. If not using this, just bridge the cap pins from U1 to U2 with a length of wire. I recorded short clips using a Wizard of Wor -cartridge, here's the results: Default SID and Buffered SID. As the filename suggests, a R4 6581 SID was used. The pieces entitled “C64 Random Impression” are some old stuff - not mathematical yet. They are the result of some simple experiments in algorithmic composition that I did on the Commodore 64. The melody-generating algorithm is quite simple, more or less random choices out of a given set of pitches. All pitches are chosen from a whole-tone scale so everything is more or less harmonic; the result is slightly impressionistic. Because of the simple algorithm, the piece tends to become boring after a certain time when listened to “actively” - but it does not badly as background. Commodore 64 enthusiasts will probably like it :-). Software for the Commodore 64, written by Hans Straub. 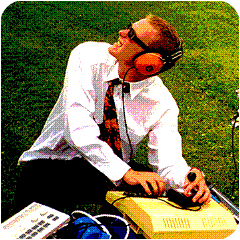 The sound programming is mainly in assembler, with a basic program around, which also does the melody generation. Statistic sound experiment inspired by Iannis Xenakis: pitches sliding up and down like atoms in a gas. (Unfortunately, there was an artithmetic overflow in the software that caused all pitches to end in a low grumble - for the same reason, the whole thing ends after 50 seconds...) Maybe not exactly music, but in any case an example for the surprising sound facilities of the Commodore 64. 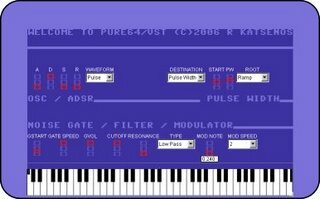 Another SID emulation VSTi plugin by LDAY for w1nd0ws that I found randomly. 12 mono voices , 1 oscillator + ADSR , Mod / 12 step Arpeggiator , 1 LFO pitch + pulsewidth , 1 filter LOW/ HI/ BAND , 1 NOISEGATE (for drums and effects). For those who have never seen the MIDIbox SID Bassline in action, ucapps posted a video of a short session to test it out. This breadbox contains 4 SIDs (2*6581 and 2*8580), they are controlled by 4 PICs. Goto80 live in Moscow mp3 ! via rebelpetset comes the post of a mp3 recording of Goto80 playing live in Moscow last month, awesome stuff, just check it out yourself. this is the upcoming Goto80 gig list, coming to Berlin anytime ??? somewhere in gothenburg at a headphhone-festival. rust, copenhagen w/ je mappelle mads again! yeai! Every now and then we like to dig out a release out of the jungle of netlabels. 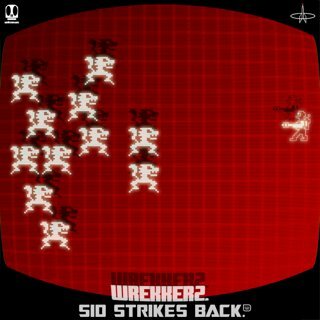 This time we'll go for Wrekkerz / SID Strikes Back EP released by Sojus Records in 2002. Jumping in the fun side of drum&bass, this 2 track EP contains pieces from 'Impossible Mission' by Epyx; 'Wizard of Wor' by Midway; 'Paradroid' by Graftgold and Krakout by Ben Daglish. I think we mentioned in the past something about the C64 Orchestra that will be performing live in September 2006. Apparently rehearsals have started and this is a little videoclip of it with appearances of Rob Hubbard and Jeroen Tel talking a bit about it. 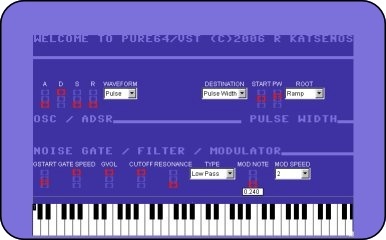 C64 Orchestra approached two of the most experienced C64-users from the 1980s, Rob Hubbard and Jeroen Tel. The current work of these two Commodore 64 musicians intend their compositions to be exploited with the aid of a classical orchestra. Cybernoid II, Hawkeye, Myth, Supremacy. This is homebuilt MIDI controller for NI Traktor. The panel is made of laser cut / engraved, scratch-acid-UV-resistant, very durable plastic. Everything is built into black painted C64 case which was absolutely perfect for this use. It seems like the Prophet is spreading the word of the SID, mods are appearing like clouds in the sky (uhh... feeling poetic). 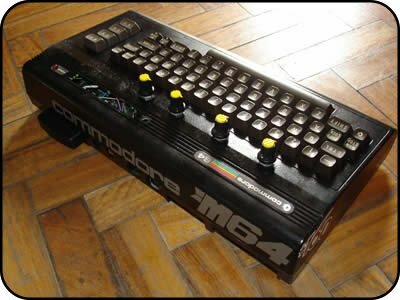 Also, another smaller project is the Commodore M64 by 8GB . It basically rocks with a C64C/II motherboard replacement, direct hardwiring of 4 pots to the joyports, In-built LCD screen, 1/4 audio jack input/output, Keyboard overlay and a Power LED change ... black is always good. good work. More info @ Prophet64 mailing list. 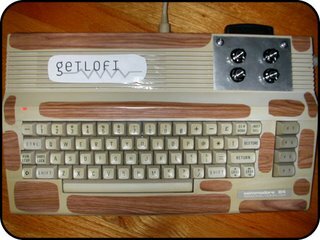 Circuitmaster/GetLofi explains his first impressions with the cartridge and a easy way to add standard pots internally to the C64 joystick ports. Excellent ! 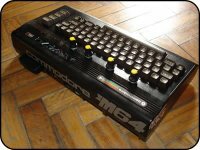 A month without C64Music! this was, a totally insane month in our neighborhood with all the football worldcup going on, been partying all month... and doing other things of course... uhh... in the meantime, we moved the location of our 1xN.org studios, kastanienallee for those who know Berlin, this is where we are... rockin'.. so far so good. 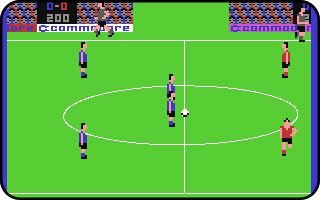 I wanted to write a little piece about music/fx in C64 football games.. but hey.. getting a bit obsessive this whole situation. We're also close to making our first anniversary, the C64Music! 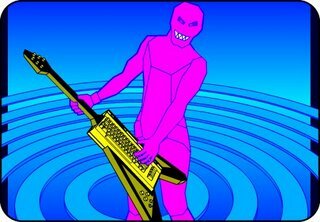 blog was launched in August 2005 with the hopes of making a little journal for musicians who "still" use the Commodore 64. No idea about writing at all really, just enthusiasm about the SID scene and the urge to have a blog about something geeky. Almost a month after the launch we got syndicated by remix64.com , this event and all the positive mails we got was a clear sign that we were "accepted"... We started testing with some advertising, and we decided to fully get rid of it, it's just ugly. Only the C64 banner network stays. You don't deserve all those irrelevant ugly ads. The only thing we'd like to do still is to make the jump into wordpress, with a proper domain name and everything.. just need the time to get it done. Watching the stats over a year, I can more or less say that we have about 1000 readers per week, niice. thanks friends. But then, I must say that the sister site of C64Music! is winning in terms of audience... and just in a few months, talking about the Studiotoolz! site. A heaven come true for mac musicians. 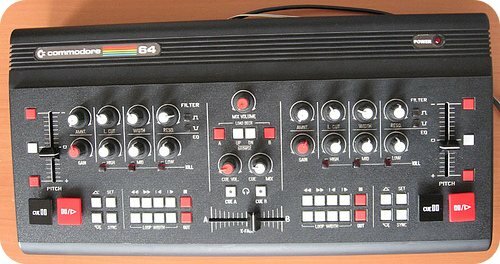 About my personal adventures, I finally found a vinyl copy of Input64, released by Enduro.. in a shop around the corner. (14€ for a 2x12") (are they really recorded with SIDplay ?) .. I've read in some reviews that the following Output64 remix CDs are not as good.. hmm.. anyways.. nice vinyl to have in the shelf if you're a bit of a vinyl junkie. By the way, if you register in the enduro site, you can access some past archives and there are a few downloads of all their catalogue, some videos too.. just check it out... for some obscure reason, the mp3s dont work here, only the videos..
And for your amazement, haven't ordered Prophet64 yet... why ? dunno, just too many things happening, im just hoping that there will be some left for me =). Also, still hoping to find an SX64.. rrrrrrrr. And at last, we heard that Edwin Van Santen aka EVS/20CC left our section of the world on May 24th... The 8Bit Mayhem podcast raised a tribute on his name, play it loud and have a drink on his name. EVS!